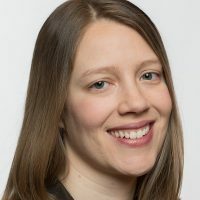 Elizabeth Dunbar is an environment reporter for Minnesota Public Radio. Dunbar, Elizabeth. "Local reporters reflect on what’s not important." Nieman Journalism Lab. Nieman Foundation for Journalism at Harvard, 2 Jan. 2019. Web. 23 Apr. 2019. Dunbar, Elizabeth. "Local reporters reflect on what’s not important." Nieman Journalism Lab. Last modified January 2, 2019. Accessed April 23, 2019. https://www.niemanlab.org/2019/01/local-reporters-reflect-on-whats-not-important/.